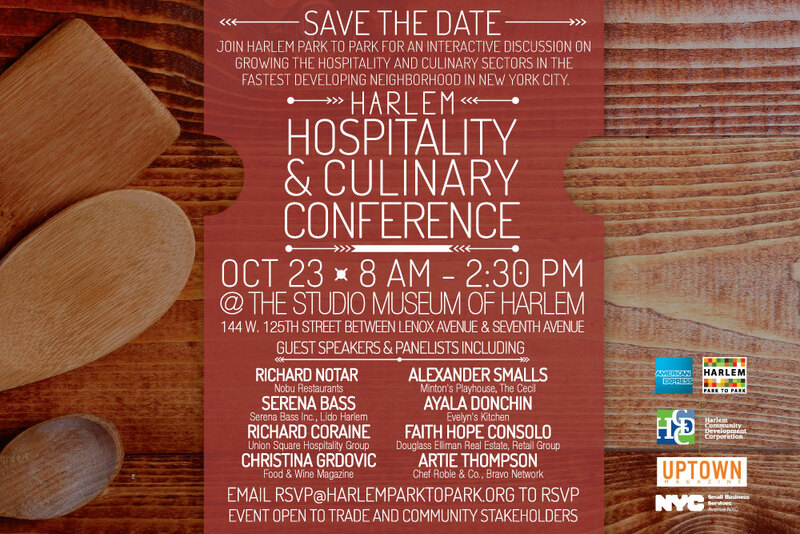 Save the date: Second Annual Harlem Hospitality and Culinary Conference set for October 23 | HarlemGal Inc. This entry was posted in business, food, Harlem, Harlem bloggers, Harlem blogs, Harlem Restaurant Row, Harlem restaurants, HarlemGal, Lido Harlem, restaurant row, restaurants, Where to dine in Harlem and tagged Christina Grdovic, Harlem, Harlem Hospitality, Harlem Restaurants, Lido Harlem, Nobu Restaurants, Richard Coraine, Richard Notar, Serena Bass, Serena Bass Inc., Union Square Hospitality Group. Bookmark the permalink.